I am a machine quilter, everything from piecing to quilting is done on a regular household machine. I have taught myself most of the techniques that I employ, with the help of magazines and books. I draw my own patterns for the majority of my quilts after being inspired by a quilt I see in a magazine. I have entered numerous quilts in competitions throughout Ontario, winning many ribbons including the Ontario Juried show in the miniature category in 2006. Two areas that I specialize in are miniatures and large quilts. 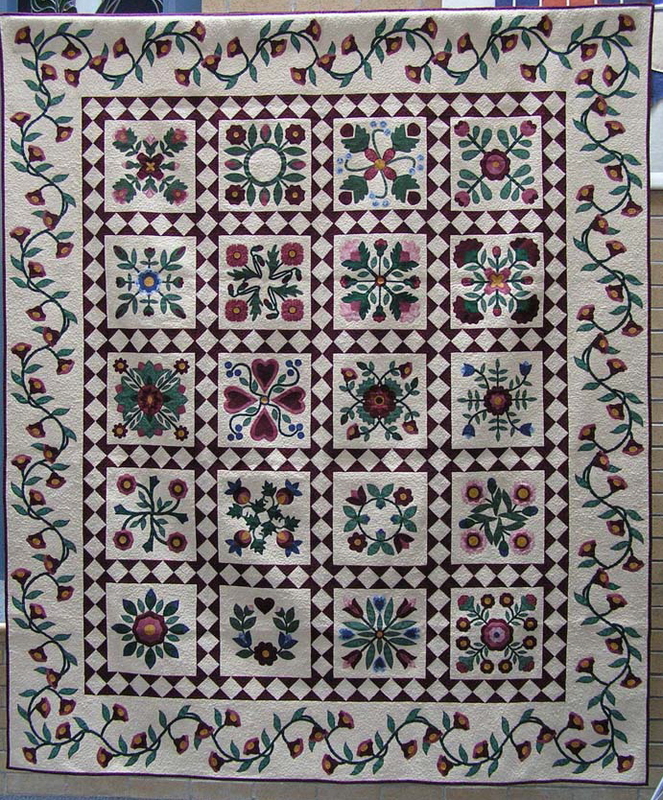 I am a member of the Region of York Quilters Guild. 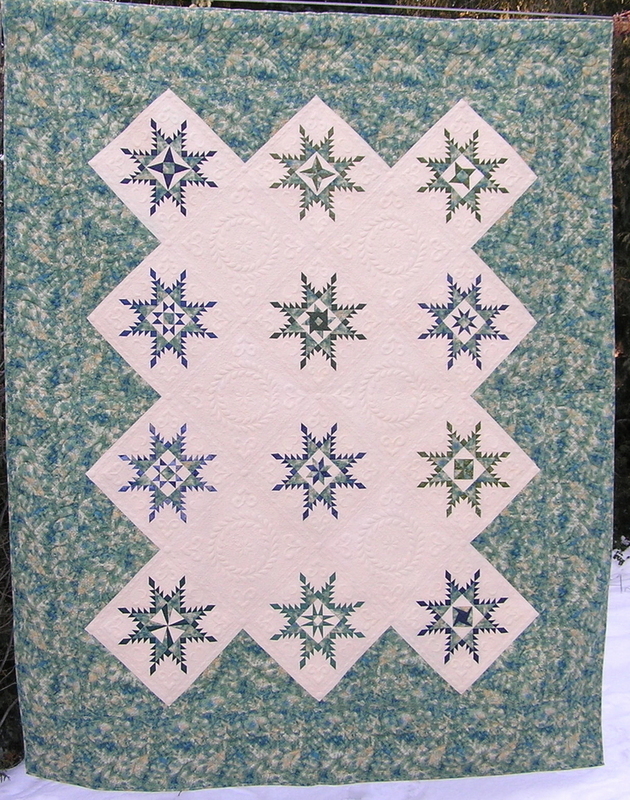 In my spare time I enjoy quilting, going to quilt shows, teaching my quilting techniques and last but not least quilting. Baltimore Album 82 X94 May 2004. Double click here to Gathis text.